West Ham United is a professional football club based in East London, England. Founded in 1895 as Thames Ironworks, in 1900 the side became known as West Ham United. 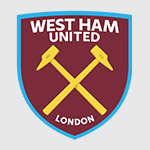 The Hammers compete in the top flight of English Football – the English Premier League. Betway and West Ham United announced a new partnership in 2015 which saw the brand become the principal sponsor of the Hammers. The deal was the biggest in the club’s history and sees the Betway logo feature on all of the club’s senior teams’ playing shirts and training apparel. 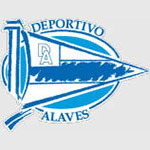 Deportivo Alavés is a Spanish football club based in Vitoria-Gasteiz, Alava and was founded in 1921. Nicknamed ‘Babazorros El Glorioso’ (The Glorious One), Deportivo Alavés is preparing for its third successive season in La Liga having finished 14th last season, reaching the quarter finals of the Copa del Rey along the way. In 2018, Betway announced a two-year sponsorship deal to become the official shirt sponsor of Deportivo Alavés adding the Spanish La Liga side to a growing list of Spanish sponsorship deals. Levante Unión Deportiva, S.A.D. 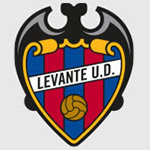 was founded on 9 September 1909 as Levante Futbol Club. The club takes its name from the levante wind that blows into Valencia from the east. After its ground was destroyed during the Spanish Civil War, Levante merged with neighbours, Gimnastico, and in 1941 became Levante Unión Deportiva. The side finished 15th in the La Liga last season, the highlight of which was a 5-4 victory over Barcelona. Betway agreed a landmark two-year deal to become the official shirt sponsor of the La Liga side in 2018. Hailing from the suburbs of Madrid, Club Deportivo Leganes was founded in 1928. 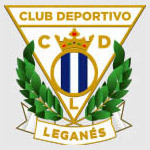 Leganes spent the majority of its professional time in the lower leagues before, in the 2015/16 season, it was promoted to the La Liga for the first time in the club’s history. This year C.D. Leganés will celebrate its ninetieth anniversary by competing for the third consecutive year in the top flight of Spanish football. 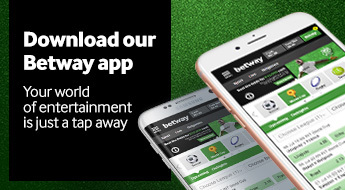 In 2018, Betway agreed a two-year deal to become the official shirt sponsor of the club. Associazione Sportiva Roma, commonly referred to as Roma, is a professional Italian football club based in Rome. 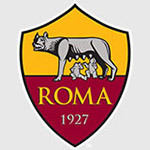 Founded in 1927 through a merger between three Roma-based sports clubs, Roma have participated in the top-tier of Italian football for all of their existence except for 1951–52. The Italian giants have won the Serie A three times and have amassed nine Copa Italia titles. Betway became the training kit partner of the side ahead of the 2018/19 season. 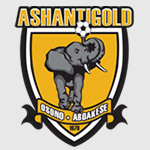 Ashanti Gold Sporting Club, more commonly known as AshGold, is a Ghanaian football team based in the gold mining town of Obuasi. The club currently competes in the Ghana Premier League and is one of the biggest and most successful clubs in Ghana. Betway became the headline sponsor of Ashanti Gold SC in 2016. 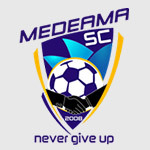 Medeama SC is a Ghanaian professional football club based in Tarkwa. Established in 2008 as a third division club, Medeama has experienced massive success and now competes in the Ghana Premier League. Despite being a relatively young side in the Ghanaian top-flight, the side has consistently shown its strength and has won the Ghanaian FA Cup on two separate occasions. Medeama SC joined the Betway family in 2018 alongside two other Ghanaian football teams – Liberty Professionals FC and Aduana Stars FC. 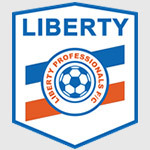 Liberty Professionals Football Club is a Ghanaian professional football club based in Dansoman, Accra. Founded in 1996, the club was one of the first to adopt a professional approach to the management of a football club. In their first season, the club featured in the first division of Ghanaian football, but were promoted to the top flight within their second season. Liberty Professionals FC joined the Betway family in 2018 alongside two other Ghanaian football teams – Medeama SC and Aduana Stars FC. 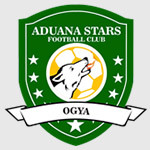 Aduana Stars Football Club is a professional football club based in Dormaa Ahenkro, Brong-Ahafo, Ghana. The side faced early growing pains, but managed to earn promotion into the Ghana Premier League in 2009. In 2010, the Aduana Stars secured their first Premier League title becoming the first Ghanaian club to do so in their debut season. Following a seven year wait, the side managed to secure their second title in 2017. Aduana Stars FC joined the Betway family in 2018 alongside two other Ghanaian football teams – Medeama SC and Liberty Professionals FC. 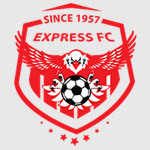 Express Football Club, known as the Red Eagles, is a Ugandan football club from Kampala, the largest city and capital of Uganda. The club play their home games at the Muteesa II Wankulukuku Stadium.The club is the oldest premier football club in Uganda, having been founded in October 1957 by managers of the Uganda Express Newspapers. In total Express FC has won six league championships and ten Uganda Cup titles with the 'double' (league & cup winners) being achieved in 1995. Express are the most followed and supported team in Ugandan football because of their ties with Buganda Kingdom which is the biggest Kingdom in Uganda. Power Basketball Club is a FUBA (Federation of Uganda Basketball Associations) club based in Kampala, Uganda. They have won the Uganda NBL five times, the most recent of which was in 2011. Betway Power was among the first organized basketball clubs in Uganda and is one of the prominent clubs focused on the development of the game among the Ugandan youth. They have shown their strength in basketball by competing at the highest level in East Africa for over 20 years. 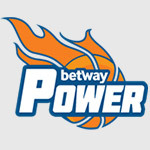 Betway partnered with Power Basketball in 2017, and after realising the potential of the team, players and management, renewed their sponsorship before the start of the season in 2018. Established in the 1930s, Kampala Old Boys (KOBS) RFC was formally constituted in 1963 and has been based at the Kampala Rugby Union Football Club ever since. 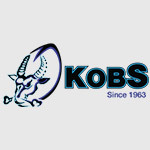 KOBS RFC is one of the oldest sporting teams in Uganda and has now become the most successful rugby club in the country. They are 12-time National League Champions and 6-time Uganda Cup Champions. Betway have a longstanding partnership with KOBS. The team’s continued success on the field, and dedication off it, has endeared the club to Betway. Kitwe United Football Club is a Zambian football club based in Kitwe.Founded in 1932, Kitwe play in the first division of the Zambian football league and were promoted to the Super League in 2017. 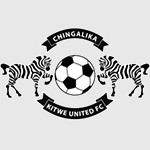 Kitwe adobted the nickname , Chingalika, which means Zebra. Their home stadium is Garden Park, situated in Kitwe. 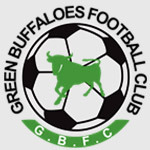 Green Buffaloes is a Zambian football club based in Lusaka that plays in the MTN/FAZ Super Division. They play their home games at Woodlands Stadium in Lusaka.The club is sponsored by the Zambian Army and was previously known as Zambia Army.